The Sheraton Stamford Hotel will offer a prime location in the heart of Stamford’s downtown area minutes from Starwood’s new global headquarters, which will open in 2011. The Sheraton Stamford itself will open in July 2011. Starwood and Desarrollos Hoteleros Guanagaste signed a management agreement to re-flag the Paradisus Playa Conchal Resort in Guanacaste as a Westin. The property will undergo extensive renovations to its 406 suites and all public areas before re-opening in May 2011. The Westin Playa Bonita Panama will open in 2011, 20 minutes from downtown Panama City, while The Westin Panama Hotel will open in 2012 in the heart of Panama City’s Costa del Este business district. 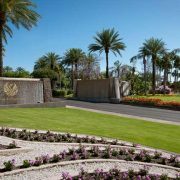 Sheraton Hotels & Resorts is giving away thousands of free rooms for one night at 86 hotels throughout North America to showcase the completion of the brand’s multi-billion-dollar global revitalization effort. The first Four Points by Sheraton hotel in the Indian city of Jaipur will open in October. The 115-room Four Points by Sheraton Jaipur, City Square, is also JHM Interstate Hotels India’s first managed hotel in India. Starwood Hotels & Resorts Worldwide has opened The St. Regis Mexico City, located on the Paseo de la Reforma boulevard overlooking the iconic Plaza of Diana.